First the bad news- THERE IS NO 3DS LONDON THIS MONTH. I’m disappointed, I think this is the first time it’s been cancelled since November 2010. A misunderstanding with the venue unfortunately, I’ve tried to organize a last minute alternative but it just hasn’t happened, sorry. I’m happy to nominate an alternative pub just for drinks if there’s a flurry of emails and tweets… let me know! Last month it was noted by everyone that it was difficult (OK, impossible) to hear the presentations. Despite that and this month’s hiccup I think the venue is worth sticking with. Some good news- We’re booked in now for exclusive use of the downstairs for the rest of the year’s events, they’ve sorted out a PA and they’ll stay open until 10pm for us. We’ve had a run of great 3ds Max speakers for a long time now. Just listing the past six months, we’ve had Analog, Hayes Davidson, Henry Goss, Chaos Group, Factory Fifteen, Vyonyx, Cityscape, Maxwell, John O’Connell and Corona- quite a few traveling a long way, on actual airplanes, to get here. So it's a shame the run's been broken, but there you go, "stuff" happens (special thanks to Taylor James who were going to present this month). What I'd like to do now is secure speakers for the next few events, which is where you come in. Please get in touch if you've got an interesting project to share with the group, the success of the evening depends upon it! If you've been coming along for some time you definitely ought to consider it. Despite occasional problems the group has a friendly regular crowd, it's brilliant for networking, has a very good reputation with speakers and best of all costs nothing to attend. The way to continue supporting 3ds London is to come along and share some work. Think about it? Definitely see you next month, Wednesday 7th May. Check www.3dslondon.co.uk, follow @3dslondon or email to get on the distribution list. Last month's event at the new venue went well (Nikos Nikolopoulos took some great photos) so we're back at Truckles this month, with more international speakers! John O'Connell is a Dublin based freelancer, he's going to talk about three projects he's been involved in recently- a digital prosthetics shot from BBC's Ripper Street, a run through of the process of creating oceans and ships in Sky1's Moonfleet and a look at the digital vehicles in Ruairí Robinson's Last Days On Mars. John's a bit of a V-Ray legend on the Chaos Group forums, but he's also going to touch on Naiad, Rayfire and Krakatoa in his presentation. Adam Hotovy is flying in from the Czech Republic to show the group the latest build of Corona Renderer. 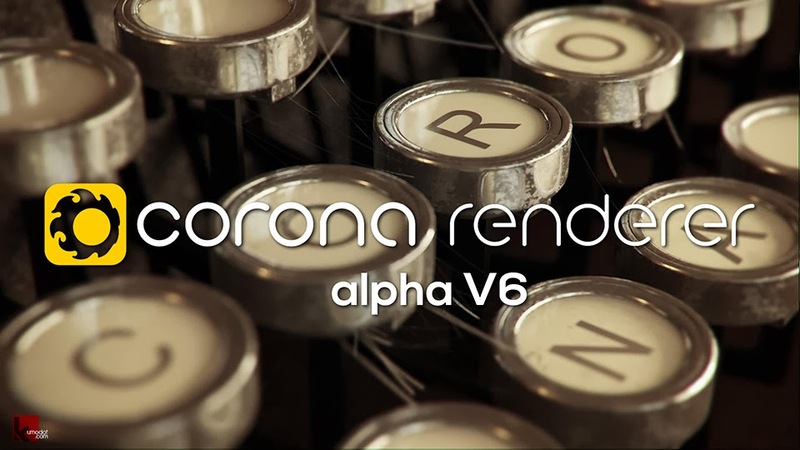 There's some great looking imagery being made with Corona at the moment- Adam will be talking about Alpha V6 and giving us an overview of future development (He's also giving 3dsLondoners special access to builds and demo scenes). Bring along some of your work to share! I'm looking for speakers for April onwards too, if you're interested get in touch. Check out www.3dslondon.co.uk, join the LinkedIn group, subscribe to the mailing list or follow @3dslondon to keep updated.